Microsoft today launched OneApp, a gateway application that it hopes will increase its presence in the non-smartphone mobile market. 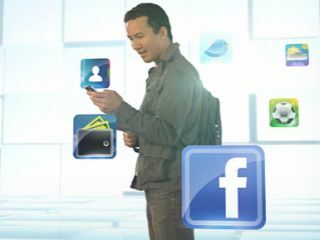 OneApp will live on basic handsets, giving access to mobile services such as Facebook, Twitter, Windows Live Messenger (who?) and "other popular apps and games". OneApp was designed from the ground up to enable mobile apps to be accessed on so-called feature phones with limited memory and processing capability. Microsoft claims that it will work on "most" feature phones that support Java. With a lightweight on-phone footprint of just 150KB, OneApp is intended to install easily and quickly on even the most basic GPRS/EDGE devices. It dynamically launches just the parts of a mobile app that the user wants, eliminating additional installation time and the need store all of the mobile apps on the phone. OneApp includes cloud services that help off-load processing and storage from the phone to the internet, which is claimed to improve overall performance. Despite this, Microsoft claims that its OneApp portal also "uses data networks efficiently" to actually reduce data access charges and save money for the customer. OneApp is being launched on the Blue Label Telecoms network in South Africa, and it is emerging markets that are envisioned as the primary users for the software. Mark Levy, joint CEO of Blue Label Telecoms, said: "We're particularly excited by the technology's capacity to transform nearly any phone into a highly sophisticated, cost-effective and user-friendly transactional device."